Melanie's exceptional knowledge of all aspects of property management is built on over 20 years' experience in the industry. Melanie has worked in both small boutique and large national agencies, run her own team and managed her own business. 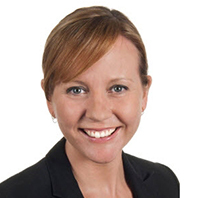 Conversant in the Residential Tenancies Act (1987), Melanie well understands the need for thoroughness in the selection of tenants and the rental documentation. She is known for the excellent relationships she builds with clients and her efficient, hard working and reliable work ethic.